During this hands-on session, you will experience first hand the ease of use, the flexibility, and the fun a Baby Lock embroidery machine can bring to all of your creations. You will be led step by step through the features while you create your own treasure to take with you. You'll see how easy it is to change color, size, layout, and even use the color consultation feature. 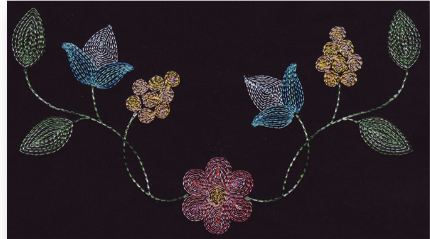 Learn to create your own embroidery design in the machine, stitch it out, and take it home! All supplies and machines are provided for this May 4th event. Seating is limited so grab a friend and sign-up today. Call us at 925-937-7575 to sign-up.